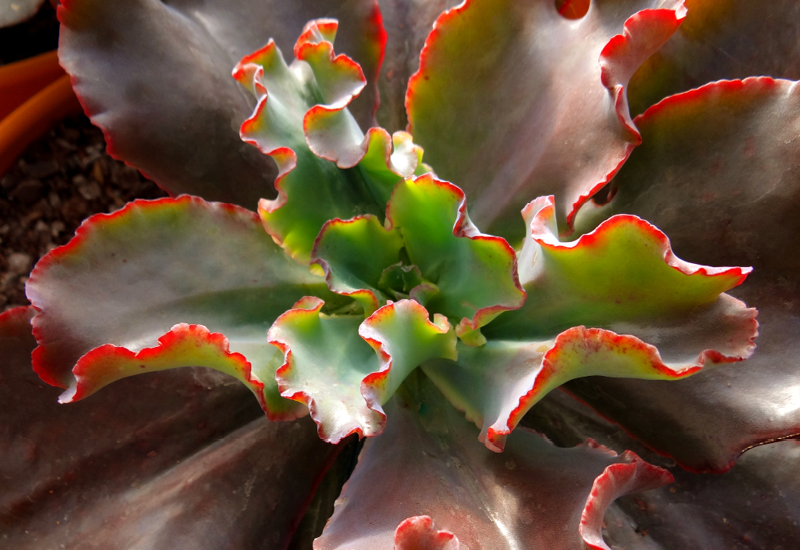 Echeveria Zorro is one of our larger echeverias and makes quite the statement! It’s a frilly edged succulent with chocolate coloured leaves. Ideal for a medium to large pot on your deck or patio with good quality succulent potting mix. In winter you’ll enjoy the ruby flowers on long 60-90cm stems. Water sparingly and place in a well lit location.